It’s hardly controversial to say that every individual deserves to be treated with respect. In the workplace, employee morale and retention is tied to employees’ feelings of being respected and included. Cliques, disrespectful communication, and outright bullying are poison for an organization’s culture and productivity. Unkind or excluding behavior can be especially hurtful and damaging when it is understood to have roots in differences of race, gender/gender expression, religion, or sexual orientation. What does it take to develop and maintain an environment where these problems seldom – if ever- occur? Participants in this workshop will examine the roots, behaviors, and impacts of fostering a respectful working environment. Through interactive exercises and case studies, we will identify and explore what organizations and managers can do to proactively promote a workplace environment that honors the dignity and contributions of all employees. 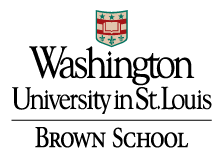 **Discounts on admission are offered to the Brown School’s students, recent alumni (for 2 years after graduation), other alumni (more than 2 years after graduation), field instructors, faculty, and staff. We also offer a discount to full-time graduate students in other programs and to our Washington University colleagues. No other discounts are available. Discounted admission is automatically defined by your role selection in your personal profile.